The Sale is now over. Thank you to everyone that participated in this year's first book sale! It was a huge success! This past week I took my first crack at writing a poem, let me know what you guys think. A tree does grow there. Its limbs are are always bare. A sight one must behold. To find where the sap is sold. They buy all the stock. And they come back in flocks. A wanderer in the night. To keep the thing alive. New Cover! New Title! New Book Coming soon! Book 3 is out and ready for your to read! We are making a new section here on the website where I will review books, movies, and other things pop culture. Let me know if there is anything you want to know my take on. Ummm.. the website looks different. Time to post on the Blog, Its all about Reading. I love reading, a lot. Answer- From the same place all ideas come from, my mind hole. Everyone has one and they are filled with great ideas and terrible ones. They grow and weaken as the seasons change. They are fed and starved just like any living thing. Some times the only thing on my mind is dragons while at other times, other things that will hopefully be put to paper and given life one day. I think it is about time for another contest, but this one is going to be a little different. I am thinking that instead of doing a typical contest, how about we just do an E-Copy bonanza? We make the E-Copies for The Clash of Land and Sea free for a weekend, how does that sound? Hit me up on twitter and let me know. Nicholas was born in Fort Knox Kentucky. His parents were both in the United States Army at the time so moving around every few years quickly became a part of his life. This gave him the gift of being able to call the whole world his home. The only constant that he found on every base and every new home were his books. At a young age Nicholas quickly became lost in the world of literature, always veering off towards fantasy and science fiction. As he grew older stories filled with adventure and in breathtaking faraway places began taking root in his mind. It wasn’t until later on down the road that he began to give life to these adventures. 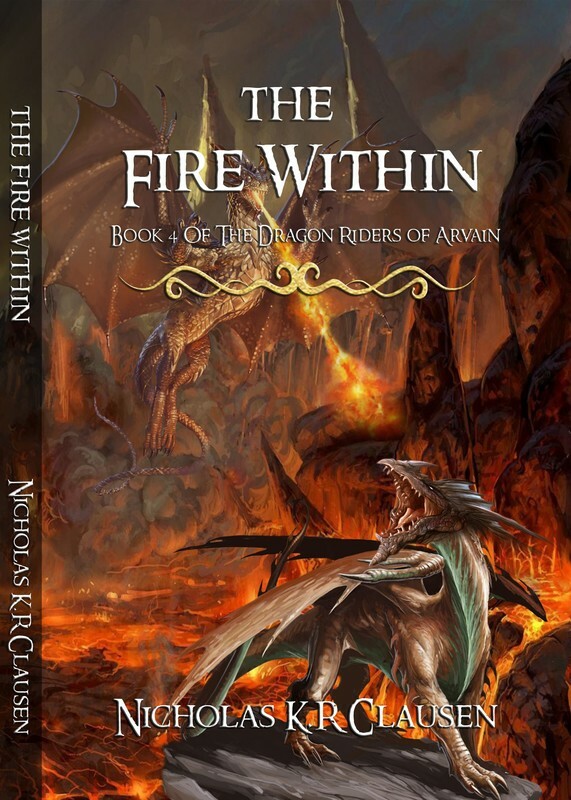 In 2011 Nicholas began to pen the story that would be called The Dragon Riders of Arvain. Thank you for doing me the honor of taking the time to read my novel. I hope that you have found it enjoyable and that you will join me in my further adventures as we continue on with The Dragon Riders of Arvain series.